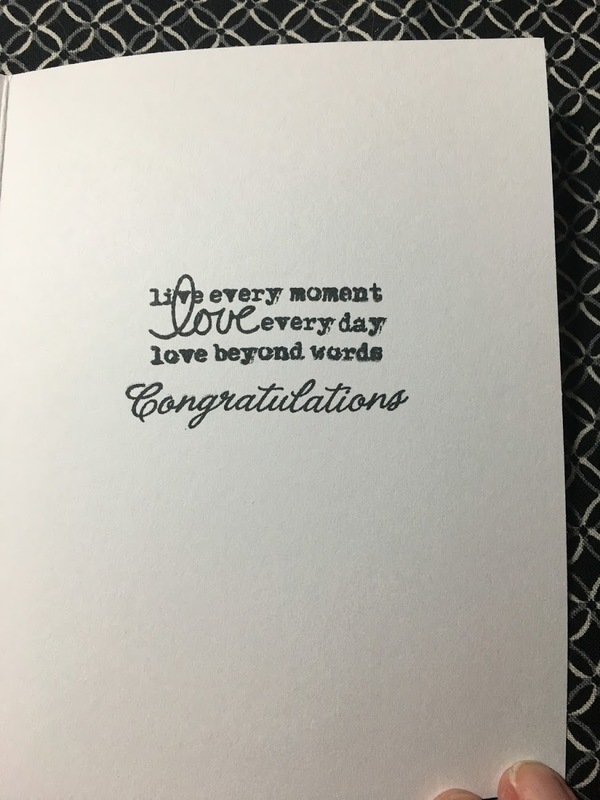 This is a wedding card that I made for a very special couple in my life. 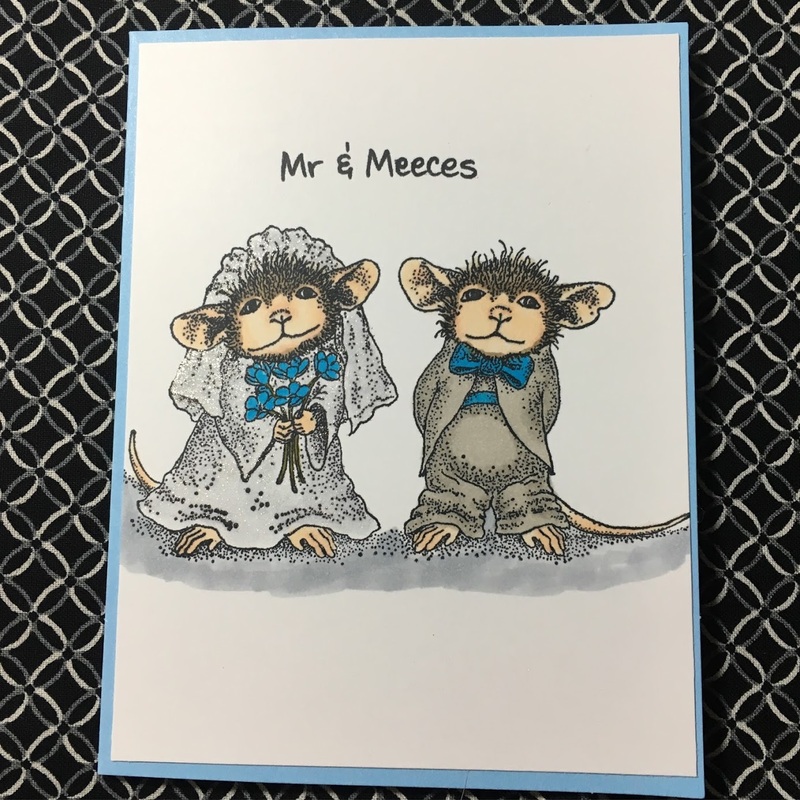 The stamp is Mr & Meeces from Stampendous. I stamped the image in Memento Tuxedo Black Ink on the front of a piece of Neenah Solar White 80 pound cardstock. I colored the image with Copics. I mounted the cardstock onto a blue note card and stamped a greeting on the front and on the inside. The greetings are from multiply stamp sets. I love mixing up stamp sets to create my greetings. The stamp sets I used for the greets are Stampendous Beary Mice, Mama Elephant Everyday Greetings, and Hero Arts Everyday Saying. Thanks for stopping and stay tuned for another blog post soon!